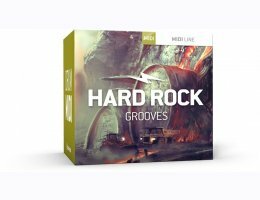 Drum grooves and fills inspired by hard rock music of the past four decades. Any decent drummer can play a basic beat, but not all can throw down a groove. There’s a dichotomy between the two that sometimes is painfully obvious. One rocks, the other not so much. In this collection, Rival Sons’ sticksman Michael Miley shows that his drumming undoubtedly belongs in the first category. His sense of timing, feel, musicality and overall ability to play rudimentary drum grooves that just scream for a bass, a guitar and a vocal is second-to-none. In Michael Miley’s Hard Rock Grooves, we give you basic drum grooves and fills that are meant to serve as the linchpin in your next batch of hard rock songs. No unnecessary frills or uncalled-for prowess, just great drums that need your music.